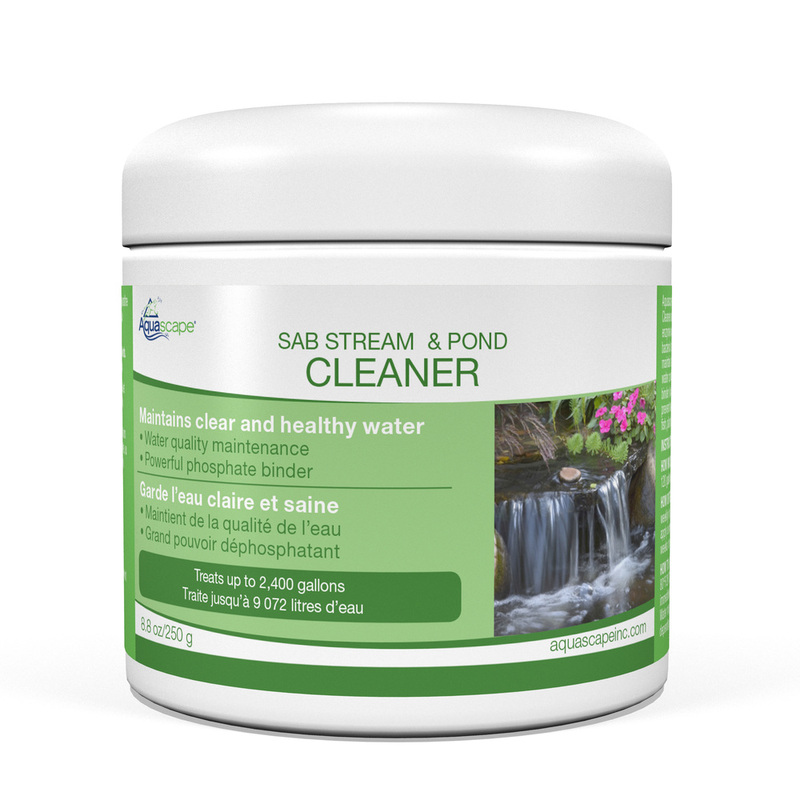 SAB Stream & Pond Cleaner - Aquascape, Inc.
Aquascape SAB Stream & Pond Cleaner contains a combination of concentrated beneficial bacteria and enzymes to provide clean, clear, and healthy water conditions in ponds and waterfalls. 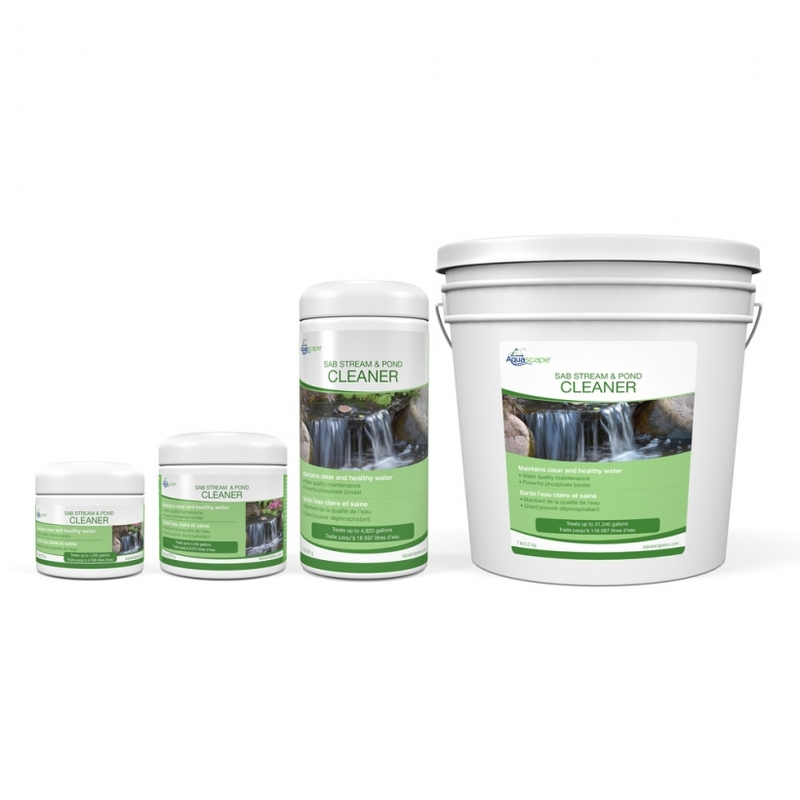 The powerful combination of strong natural cleaners helps to break down organic debris and maintain a biological balance in your feature while the phosphate binder prevents water quality issues. 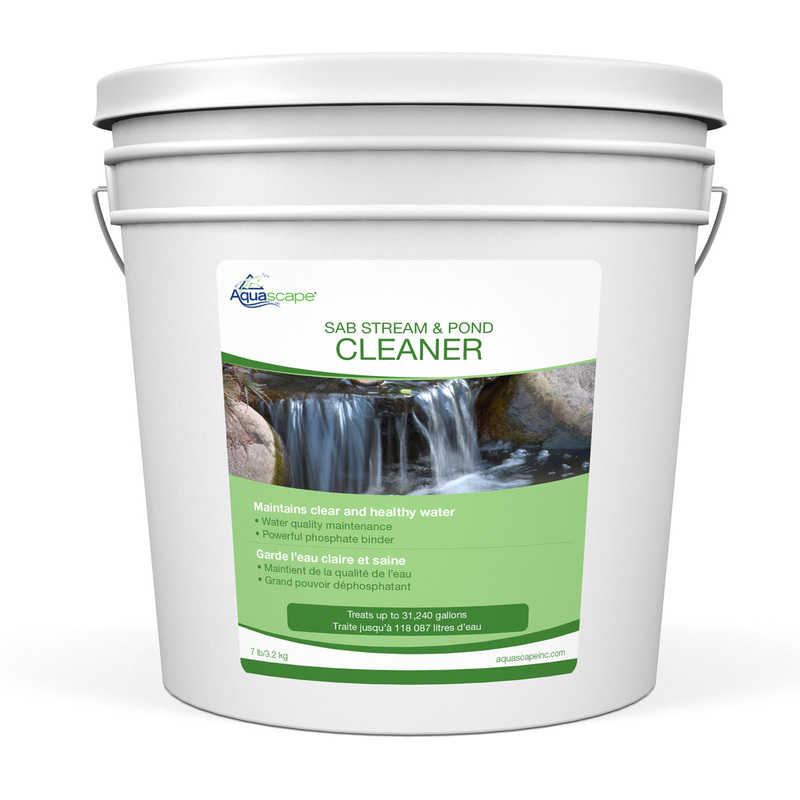 This allows you to spend more time enjoying your water feature and less time maintaining it. 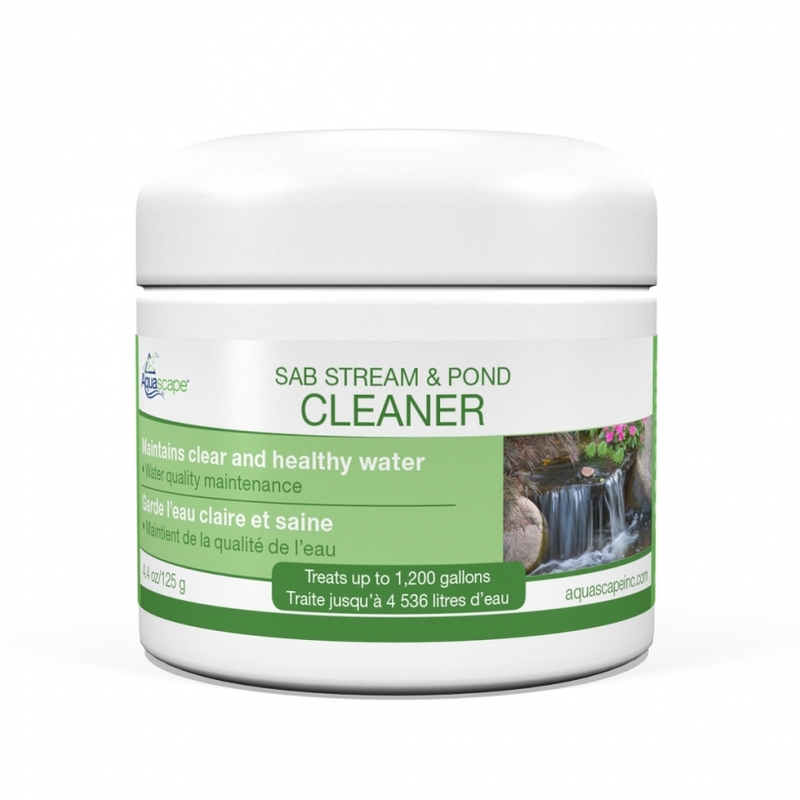 SAB will also help to reduce ammonia and nitrite. 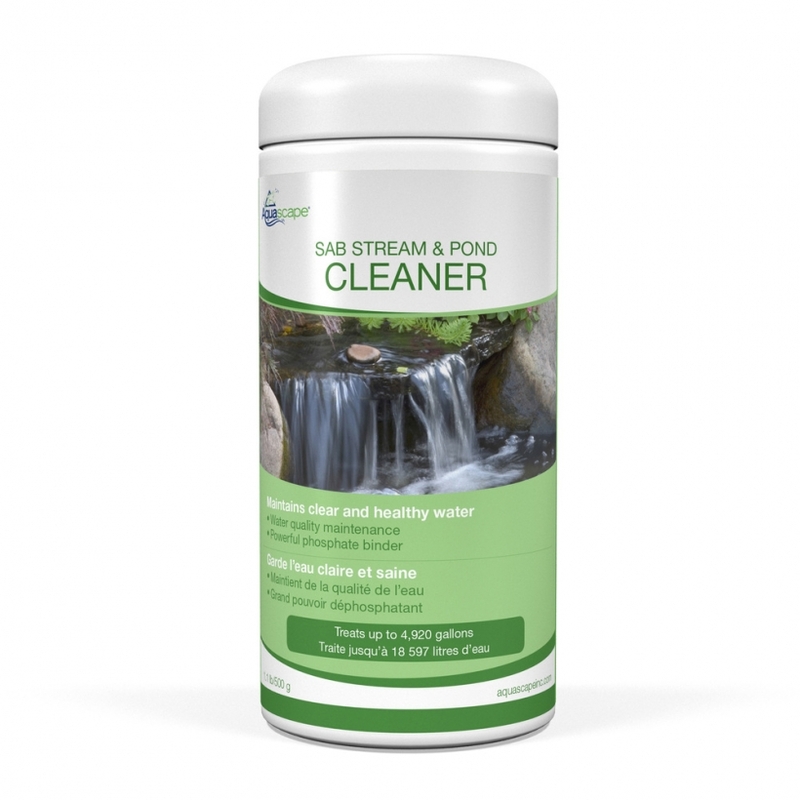 Aquascape SAB Stream & Pond Clean is safe for fish, plants, pets, and wildlife.